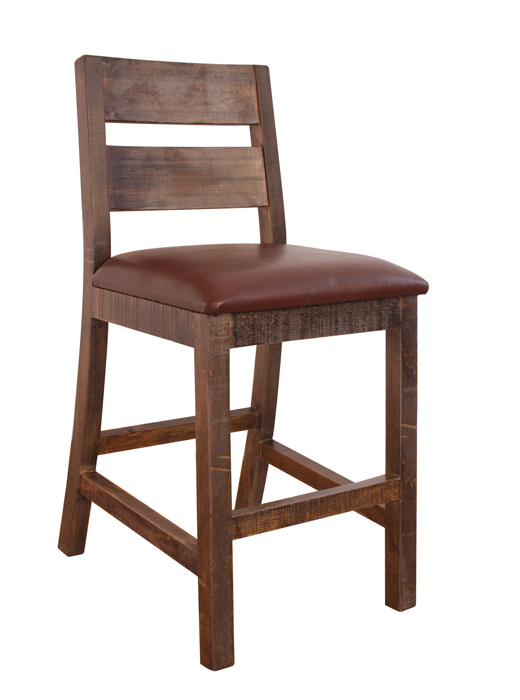 30” Barstool for Bar Height Table – Featuring 100% Solid Pine. Eight-step hand rubbed finish. 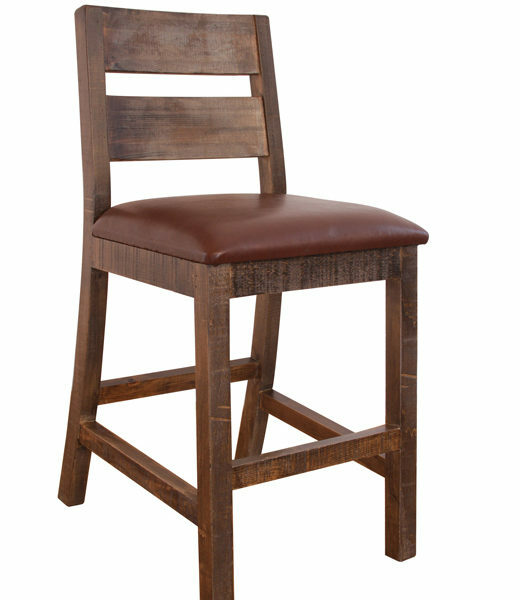 Pieces in our Antique collection have a soft multi-color finish to resemble real recovered wood. Solid wood is hand brushed, painted and given a final clear lacquer nitrocelullose coating that protects colors and is smooth to the touch.